Drink purchases, equipment rental, lunches. 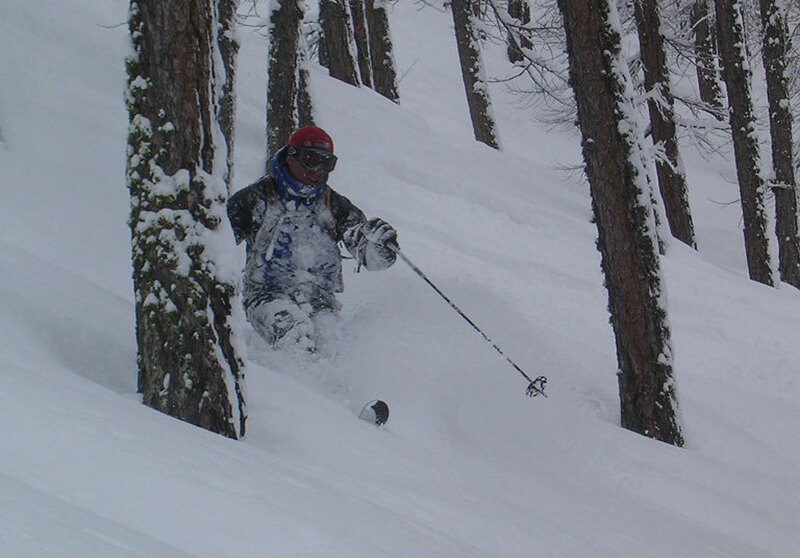 Japan sits in our minds with images of sushi, samurais, zen, Toyotas and Sony, now deep, powder skiing joins the list! Pacific storms mixed with Siberian cold makes deep, cold smoke a daily reality for the Land of the Rising Sun. We make our way to Hokkaido to the ski region of Niseko and Furano for 6 days of exploration and skiing the many ski areas, enjoying as many fresh track we can find! We have explored Hokkaido and agree Niseko and Furano need a visit, the pow is too deep to ignore. Hokkaido offers a wide range of lift served and pure backcountry runs each offering a range from classic Japow face shots, through 1,000′ glades and chutes to smouldering volcanoes with wind swept summit craters and followed by 3-4,000′ descents to the famous ‘onsens’ with bottomless sushi and ramen to top you off. Day 2 Ride the lifts to access the well known backcountry and shake off jet lag. Day 3 Tour one the summits of Chisenupuri, Nitonupuri, Iwaonupuri) as well as the BIG BOY – Mt Yotei. Day 4 Ski another peak in the Niseko Range then transfr to Furano to explore Central Hokkaido. Day 5-7 Explore the terrain around the Furano ski areas and go into the Daisetsuzan National Park to tour the famous ridges, craters and glades of Asahidake and Tokachidake then head back to Sapporo and home. You will receive an introductory email with your guide. We are small company who enjoy working together in the mountains as well as highly skilled professionals who hold current Wilderness First Responder certification and are proficient in technical rescue and evacuation skills. Our guides are dedicated to the world of alpinism, many having first ascents and hold professional certifications with AIARE & AMGA. The AMGA is part of the IFMGA, which is the international body of certified mountain guides.HOW MUCH SHOULD I TIP MY GUIDES? We work with Ascent Outdoors who rents full ski and splitboard packages as well as beacons, shovels, and probes here. If you need these plus touring equipment, Quantities are limited so please contact us as soon as possible if you are interested.There will be rentals in Japan as well. HOW MUCH CAN I TAKE? No limit just have to lug it around so follow the equipment list and it will be plenty. You will carry 10-15 pounds, which will include everything on the equipment list. 50% Deposit at the time of the reservation, the balance due 90 days prior to departure. Please plan your travel itinerary giving yourself a buffer (a day on each end) to accommodate delays due to stormy weather. These could include your incoming flight not arriving on time or a weather delay. In the winter it snows here. A lot. All Flights should arrive and depart in Sapporo at Chitose International Airport. We take care of the hotels on the trip so check your flight to make sure it matches up with the nights of the itinerary so if you need a hotel it is near the airport.